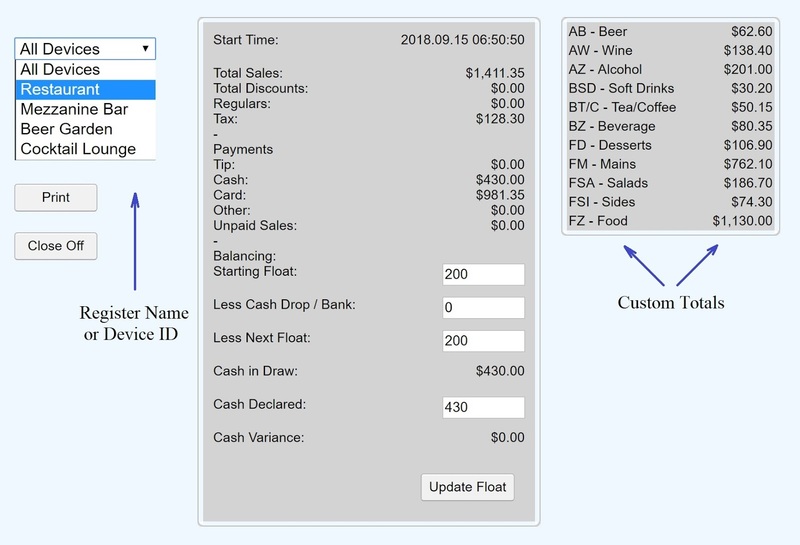 I'm the developer of a cloud based Point of Sale system - SplitAbility POS. This blog unpacks and explains some of the technology associated with on-line POS systems. Specifically leaning toward hospitality type usages. I look at some the differences in legacy systems, the pros and cons of the modern systems and why I'm backing the cloud! We now support over 600 different time zones. Admin users can set the transaction journal timestamps to their local time (Default is UTC). Staff login logout times also reflect this setting. 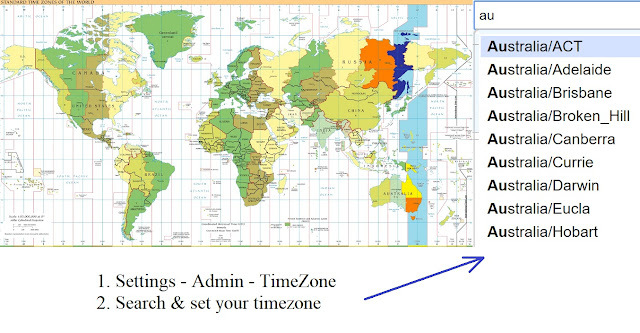 1.Settings - Admin - Time Zone. 2.Search & set your time zone. Time Zones - Learn more.. Per device custom balancing totals are now supported. Set any device/register to monitor items or categories. Groups and aggregated totals are visible to remote Admins in real time. The improvements in the speed of processing orders just keep coming! This week sees the release of single item "Touch to Serve" buttons for ready items on all overview screens. Servers simply touch these buttons to change the state of an order item from "Ready" to "Served". So for single items it's one less touch to declutter screens. 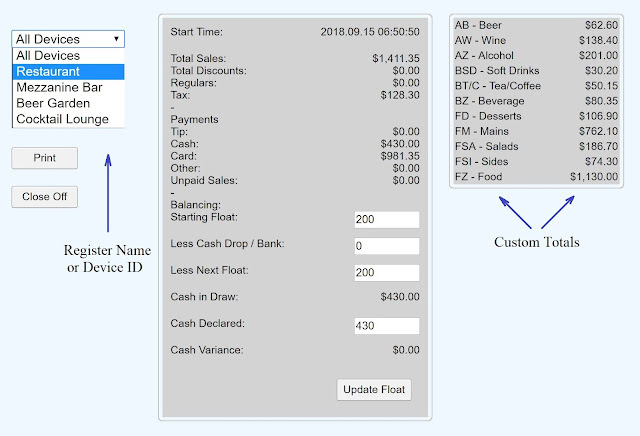 Category and bulk state change buttons work as before i.e. Are accessed by selecting (click or touch) any order item. Real-time Kitchen Display Systems (Smart KDS) offer advantages not seen before in the hospitality industry. Reduction in service times is the big one but add in improved accuracy and more productive and the advantages stack up. You can only get so far shuffling printed dockets around. 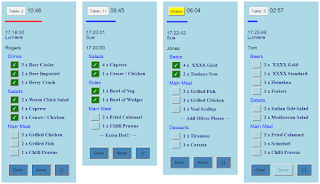 Smart KDS screens display orders the instant each order is selected rather than waiting for the entire order, thus giving bock of house staff a heads up on what is coming through, check boxes appear only after the entire order is sent. Reasons to go paperless are mounting. e.g. All cleared tickets are instantly accessible on the "Virtual Ticket Spike" from any screen, tablet or device. Still think you should stick with printed dockets? This month we published an article in Restaurant & Catering Magazine and have added the article to this blog with some more pictures. Tablet-based hospitality POS coupled with Kitchen Display Systems (KDS) are becoming the preferred ordering model for modern venues. KDS is built-in to the software. Any tablet, computer screen or smart TV can be used to display order status. Check-boxes synchronise across all stations to inform staff. Category selection is done on a per device basis allowing staff to view what they require. The ‘virtual ticket spike’ allows staff to scroll through the entire order history and replicates the paper spike. Ross Orr, developer/director of SplitAbility, has noticed a marked increase in the switch to bump screens as businesses move to the modern approach. Add as many devices as you need; the $60-month plan covers the entire site for registers, tablets, KDS, smartphones and smart TVs. The product has a suite of built-in functions, such as online order-ahead ‘fast.cafe’, takeaway maps, table management and more. 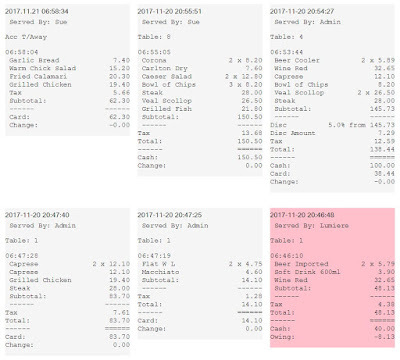 By allowing multiple totals on a single order, splitting bills is as easy as touching the item and assigning to a name. Both upfront and retrospective splitting is supported. Direct payment integration means the app can run natively on payment platforms such as ANZ’s BladePay or CBA’s Albert that use Android OS. Agile venues change their offerings daily. This is achieved by simply editing an online spreadsheet. SplitAbility is authorised by Google to access ‘Drive’ and ‘Sheets’. Categories, button graphics, prices or colours can by changed and propagate to all devices. This cloud-based system seamlessly switches to the mobile data network if required, allowing recovery from wi-fi black spots. With a 100% uptime record over six years, SplitAbility is unmatched for service availability with 24/7 phone access to a system expert. We now have "Paired" operation available for the Comm-bank's Albert EFTPOS terminal. See here Albert EFTPOS for our previous post on the Albert. 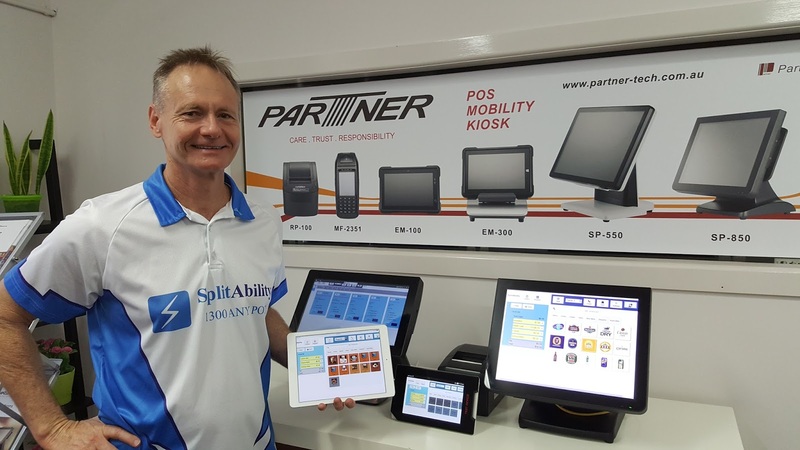 After installing the app from CBA's App-Bank, SplitAbility POS can run either as a standalone POS or as a slave driven from another screen. The elimination of keying errors. Most certainly, docket rails are soon to become an artifact of the hospitality industry. 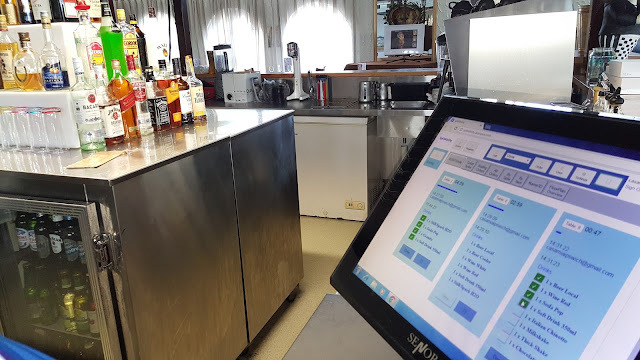 Just as cash registers have made way for touch screens and tablet based point of sale systems, paper tickets are being replaced with the KDS (Kitchen Display System) or bump screen. 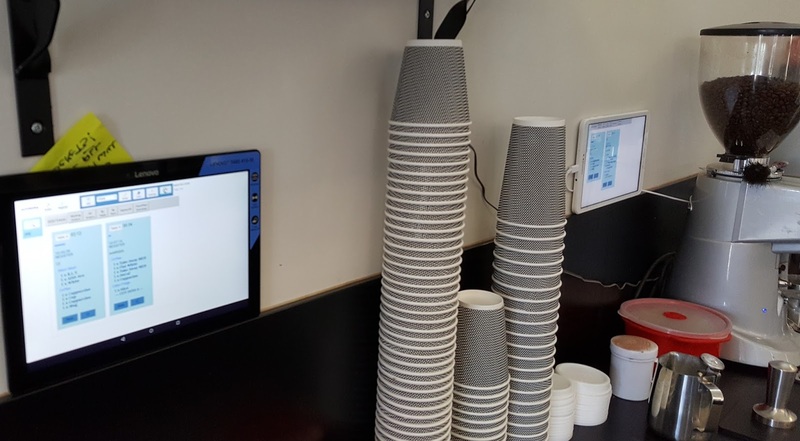 Although having been around for a while, up until recently kitchen display systems were beyond the reach of most smaller cafes and restaurants, due to the required on site hardware and expensive licensed software. Learn more system differences explained. The delivery model is changing, meaning KDS can now be supplied at a fraction of the cost to the older installed systems. Screens and tablets can now simply synchronize via the Internet. So along with kitchen printers and paper tickets, order docket holders have had their time in the sun. The shift is underway, early adopters are well into the take up phase of this technology. So if you're interested in avoiding the paper shuffle, to improve your order docket management, it's time to make the move to the virtual spike. This video is getting a lot of interest, it shows how easy it is to make the transition away from paper based ordering processes. There's lots to consider when choosing an on-line point of sale system for your business, but there is one factor that stands out. It's a benchmark that ranks above all others. Button images help make for a fast system, as they allow for quick recognition of menu items. Consistent design improves navigation speed. That is, the time taken to do a complete reload of the app from scratch to taking and sending orders. 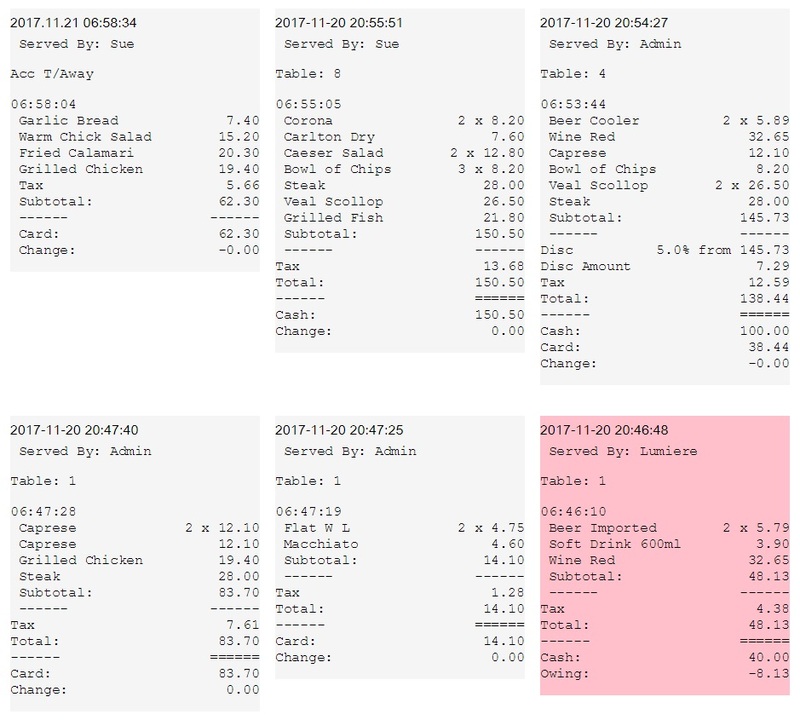 The above video shows a POS system that has both lightning fast operational speed as well as fast refresh and load times. Starting the app from scratch to printing orders is done in around 2 to 3 seconds! Whether cold booting a computer or powering up a device after it has run low on battery level, app refresh & reload is an unavoidable process you'll need to do from time to time. So be sure to do some tests when doing your system trials, otherwise you may be setting yourself up for some frustration down the track. Want more speed? Ensure you have fast printers: Lean more. Turbo-charge your operational processes with a fast point of sale system. 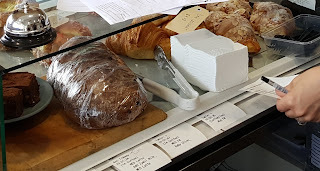 Predominantly used in quick service restaurants, Kitchen Display Systems aka KDS are increasingly being used more widely in hospitality as the barriers to using them such as cost are falling dramatically.